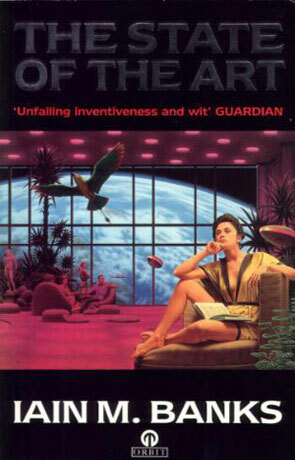 The State of The Art is an anthology collection by Iain M Banks. The State of The Art is a collection of eight stories with the story The State of The Art making up one hundred of the two hundred pages. As can be expected with Banks all of the stories are well written and interesting, but I will stick to the main story, not that the other stories aren't worth writing about, but The State of The Art is the most interesting. Most of "The State..." takes place on (or rather in orbit around) Earth of 1977 when a Culture General Contact Unit comes to earth to see if we are worth making contact with (I like stories seen from the view of the aliens). Banks uses this theme to tell a lot about the Culture, so if you have read other of his Culture stories and you are interested in the Culture, this story is a must. But Banks also gets to investigate the human race, and have a closer look at us from the outside. If there's anything wrong with this book, is that it's too short. Written on 25th January 2001 by TC.